Dentist anesthesiologists are first and foremost, dentists. As dentists, they have completed an undergraduate degree and a doctoral degree in dentistry (D.M.D. or D.D.S.). Dentist anesthesiologists undergo residency training in anesthesia. The American Dental Association’s Commission on Dental Accreditation accredits these residency programs. In addition, these programs are affiliated with hospital anesthesia programs and must comply with Graduate Medical Education (GME) standards. Currently, dentists who complete an anesthesia residency complete 3 years of additional post-graduate education in anesthesia. Physician anesthesiologists train dentist anesthesiologists in the hospital. Dentist anesthesiologists are trained with medical anesthesia residents, and often the residents are treated interchangeably. This includes participating on the code team and call team. Dentist anesthesiologists provide anesthesia for medical and dental procedures during this training. This is not to say that physician anesthesiologists and dentist anesthesiologists have equal skills, but that they undergo very similar training. An anesthesiologist is a doctor who provides anesthesia to patients. In many other countries, these doctors are called anesthetists. Here in the US, the term anesthetist typically refers to nurse anesthetists, or CRNAs. In some states, the Medical Boards also recognize anesthesia assistants, which are similar to physician assistants. Anesthesia assistants, nurse anesthetists, and anesthesiologists (including dentist anesthesiologists) all provide anesthesia to patients. Anesthesia assistants always work under a physician anesthesiologist; there are no exceptions. The model is similar to a physician assistant in this matter, except that the anesthesia assistant is the person providing the anesthesia under the primary anesthesiologist. CRNAs,,in some states, may be the primary anesthesia provider and do not need to practice under an anesthesiologist. In other states, CRNAs must be supervised similar to an anesthesia assistant. Physician anesthesiologists are medical doctors who have obtained either an M.D. or D.O. and completed an anesthesia residency. Dentist anesthesiologists are dentists who have obtained either a D.M.D. or D.D.S. and completed an anesthesia residency. Dentist anesthesiologists typically provide anesthesia only for dental procedures and oral and maxillofacial surgery. This may be in an appropriately designed dental office, an ambulatory surgical center, or in the hospital. 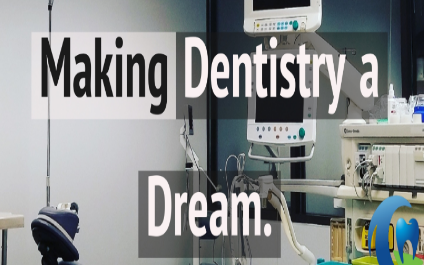 Dentist anesthesiologists have an expertise in dental procedures, outpatient anesthesia, anesthesia outside of the operating room, and treating children and patients with special healthcare needs. In fact, dentist anesthesiologists are required to treat more children in their residency than physician anesthesiologists that do not go into the subspecialty of pediatric anesthesia. However, physician anesthesiologists are much more skilled in terms of critical care, cardiac anesthesia, anesthesia for obstetrics, pain management, and neonatal care, to name a few. Can any Dentist be an Anesthesiologist? Dentist anesthesiologists must complete an anesthesia residency. They may also be certified by a board examination. There are currently two board examinations, but only one that board certifies dentist anesthesiologists. That Board is the American Dental Board of Anesthesiology, which involves a written and oral board examination after successful completion of an anesthesia residency. The National Dental Board of Anesthesiology is a written examination that is open to dentist anesthesiologists and oral and maxillofacial surgeons. This means that dentists who take seminars to learn oral and/or IV sedation are not board-eligible. They technically are not dentist anesthesiologists, although these dentists may present themselves as “sleep dentists,” “sedation dentists,” or even anesthesia providers. A board-certified dentist anesthesiologist must complete an anesthesia residency and pass both the written and oral American Dental Board of Anesthesiology examinations. Why is it so hard for the public to find this information? Honestly, it isn’t just the public; it is hard for healthcare professionals to understand this information. Some have argued that it is confusing terminology, but it is much more than that. The American Dental Association by a House of Delegates vote decided not to officially recognize dentist anesthesiologists as dental specialists. This was despite meeting all the criteria established by the ADA for specialty recognition. Nevertheless, the ADA, as a trade association, allowed existing specialty members the ability to vote and deny such recognition. In addition, this made it illegal in many states for a dentist anesthesiologist to claim any advanced training or specialty in anesthesia. If one did so, the ADA required a disclaimer that such services were provided by a “general dentist” and that the ADA did not recognize such training. In some states, this was actually ground for a dental license to be revoked. To parallel medical colleagues, this would be akin to the American Medical Association (AMA) telling a pediatric fellowship trained anesthesiologist that they could never mention that they received advanced training in pediatrics or were a pediatric anesthesiologist. Recently, the ADA has come under pressure for its decision. The ADA is actually starting to reverse course on this issue because of mounting regulatory pressure as well as increasing awareness of patient safety issues in dentistry. Patients need to have a thorough understanding of the type of anesthesia they will be receiving and who will be providing that service. This includes, but is not limited to, the knowledge of whether that anesthesia provider will also be providing the surgical service at the same time. This is the basis of informed consent and the patient’s (& family’s) ability to choose the treatment that is best for them. Previous Previous post: When Should My Child See the Dentist?